Today I took my first set of photos with my new Canon Rebel xsi. I think I could get used to this. Using a remote control, I got to pose in front of the camera and actually take a picture of me and my outfit, from head to toe. 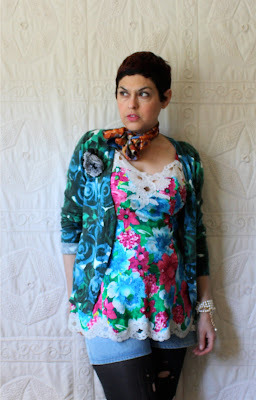 I thought it was appropo that I was going for floral overkill. Every single item worn except tights and scivvies are second-hand. I think the total cost of my outfit comes to under $20.00. Good for you! I am in the market for a new camera for the same purpose but have been slow to decide. Great photos! You did such a wonderful job combining these prints. They are both such strong prints, but together they are even better! Wow! 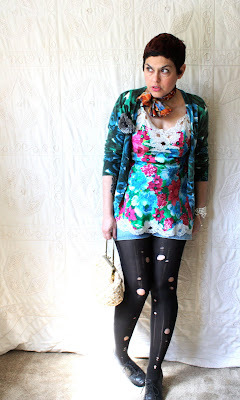 The picture quality here is great, and I LOVE the mad layers of florals - so springlike! I really like your outfit, its very springy. Thank you Penny, and Kallie. Kallie, I really hope you get a remote, I think it's only 20 bucks, but the ease of snapping makes it such a great value! Dude, you have such a killer style! dig it! Thanks for the follow and I am stoked to do the same! Polka Dot is awesome! I am excitted to see your next post! I tell you sometimes the best way to discover a new blog is to listen to the recommendation of a blogger you really like. Polka Dot (she's in my blog roll) has such great eye (photographer) who is so good at writing, it figures when she recommends someone they are RAD! 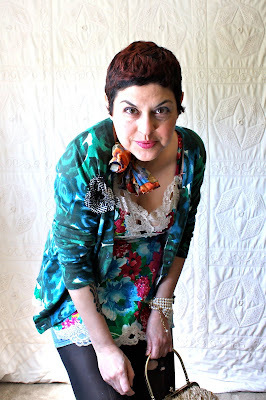 This time, quite literally, ThatsSoRad is a blogger from Cali, who has a wonderfully gorgeously hip blog....go check it out peeps, and see for yourself. "Floral overkill" it is, but why do those things discretely? My favorite shot is the last one, with your face right in the lens. Good on ya. Did you see the Lucky magazine spread a couple months ago about layering florals? It was like my fave fashion spread ever and this would have fit right in! 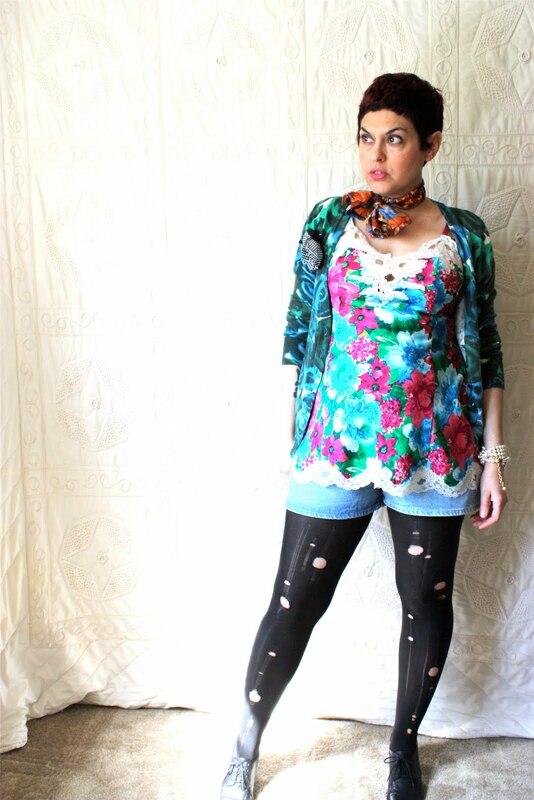 No I didn't...but I'm loving this floral overkill thing. People look sooo good in florals. Flower power!